We humans have the most diverse and complex emotional ranges out of all living beings on the planet. This does not mean, however, that animals don’t experience some of the complex emotions that we do. 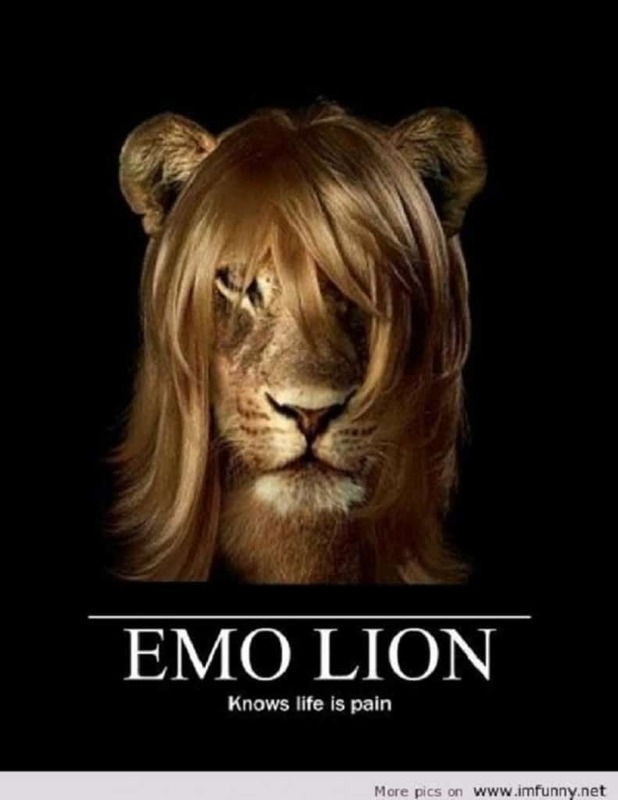 We have a separate section of the modern generation labeling themselves as emo, and this comes with a certain haircut and lifestyle choice. If we were to find animals that fit this bracket as well, you would be surprised at the kind of animals that make the cut. 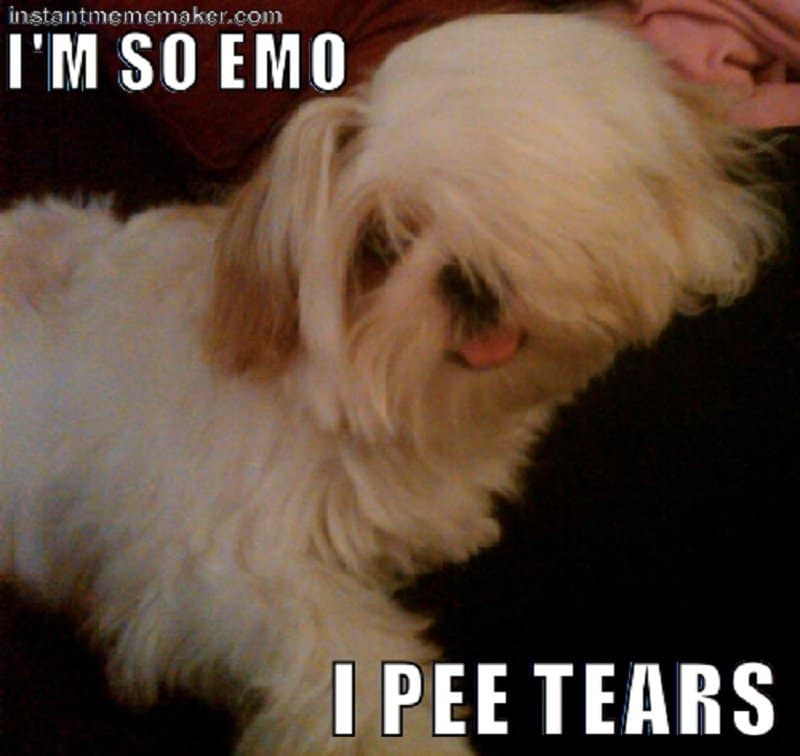 This list features 10 hilarious instances of animals being emo. 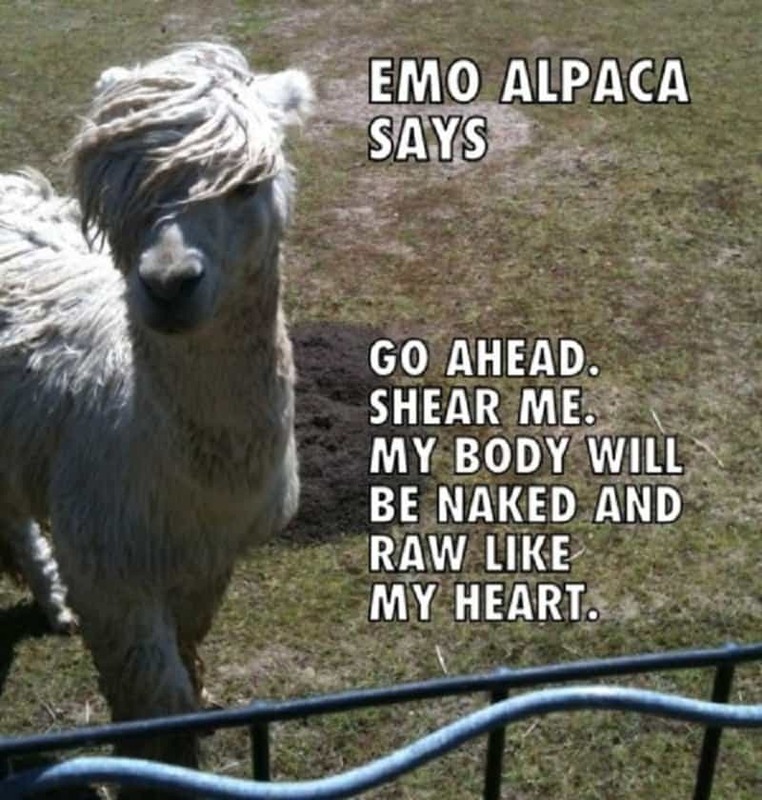 This Alpaca has some really deep things to say about the fact that it is about to get sheared. 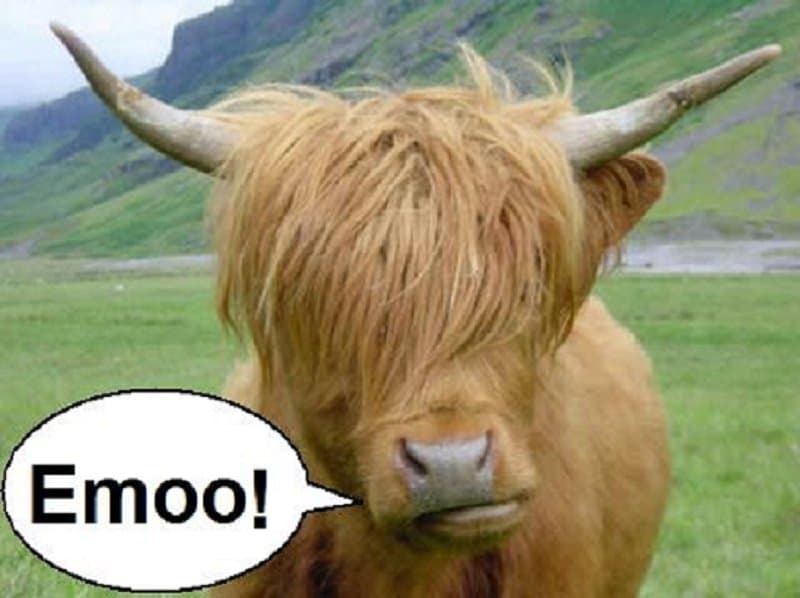 What does the Emo cow say? Emooo of course! This sloth has a complex look on its face. 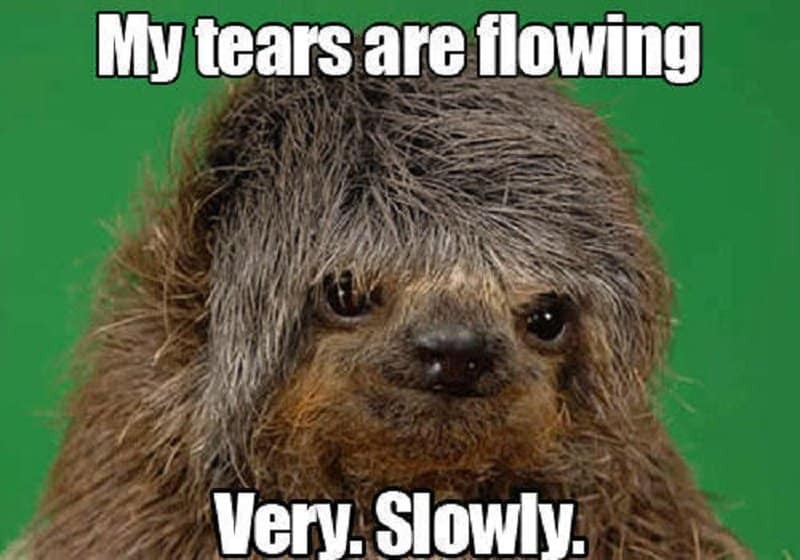 If you can’t see the tear trickling down, its only because it is happening very slowly. 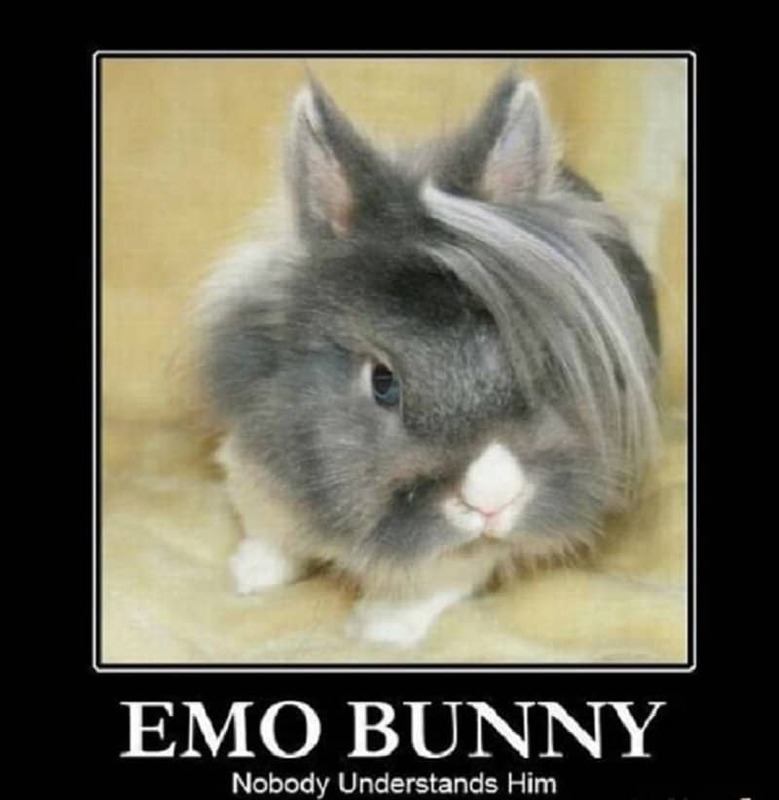 Sure, this bunny is sad, but is there anything cuter than an emo bunny? I think not! 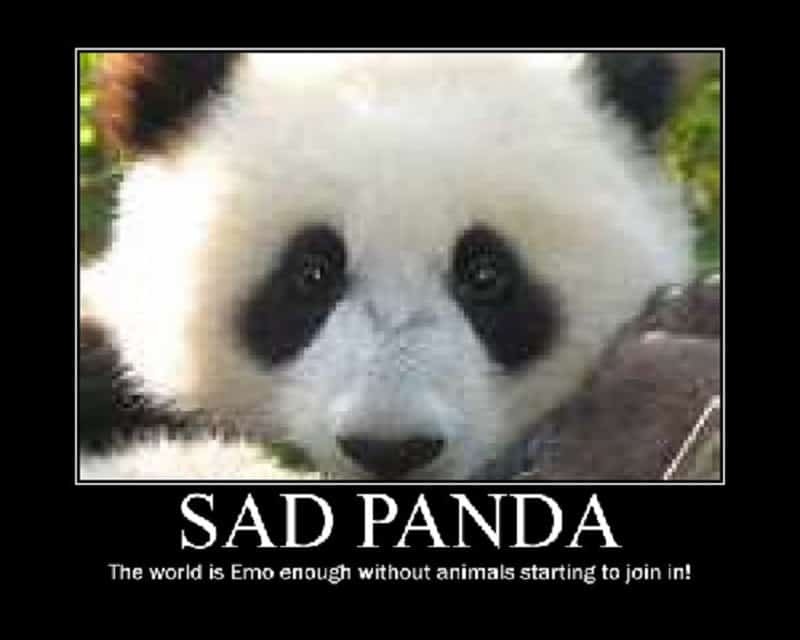 Similarly, there is nothing sadder in this world than an emo panda. 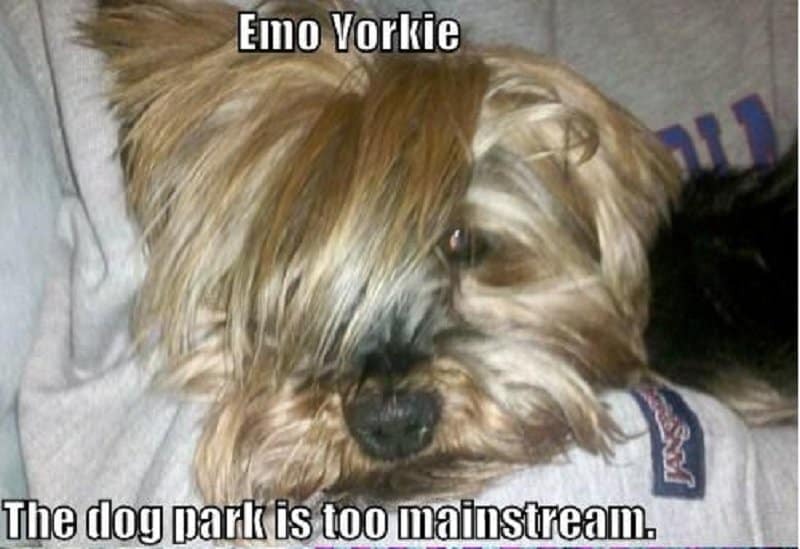 Yorkie’s have more social sense that we give them credit for. Take them to the same dog park long enough, and they begin to resent you for it. Being a horse can be hard work. 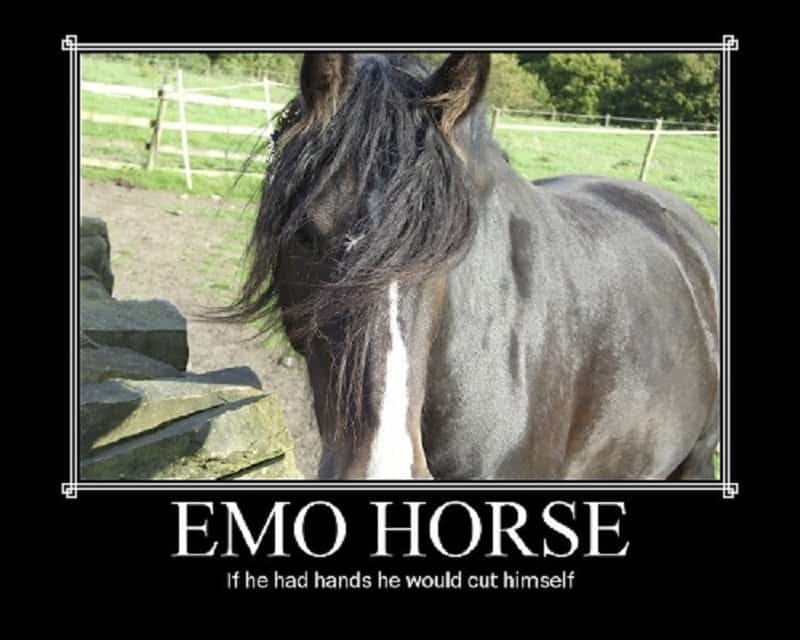 You are a beast of burden, a perfect reason to go emo. Contrary to popular belief, not all puppies feed off sunshine and rainbows. Some of them have a dark side as well. Being the king of the jungle can be so much pressure! No one seems to understand the real you. Coming to terms with who you really are can be one of the most difficult things in the world. 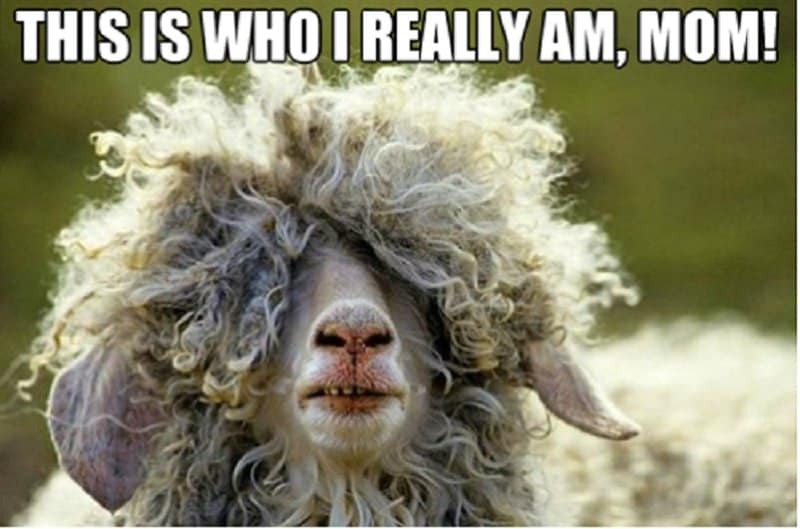 Luckily for this sheep, he seems to be ready to embrace his inner self.